Will my spouse get my business in a divorce? Florida statutes provide for the equitable distribution of marital assets during a divorce. In other words, marital assets are ideally split 50/50. These include stocks, bonds, property, and any other asset acquired during the marriage – including a business. As divorce lawyers in Tallahassee- of course this applies anywhere ion Florida- one of the more common equitable distribution questions we are asked is what happens to a small business in the course of a divorce. As discussed below, a business is an asset that should be addressed in a Marital Settlement Agreement or divorce judgment. A Tallahassee divorce lawyer summarizes whether a spouse gets half of a small business in a Florida divorce. How is a business divided? In order to divide a business, the court must be aware of the true value of that business. This value can be determined by a CPA or, depending on the size of the business, estimated by large organizations such as the National Association of Certified Valuators and Analysts, the Institute of Business Appraisers, the American Society of Appraisers, and the American Institute of CPA’s. These valuations typically use an ongoing value estimate, meaning that the business will be valued as if it would continue to operate and earn profits for an extended period of time, or a liquidation estimate, which would result in the value of the business being the total of its liquid assets. Often the business is a small operation that essentially has no value outside of the annual income it provides the owner. 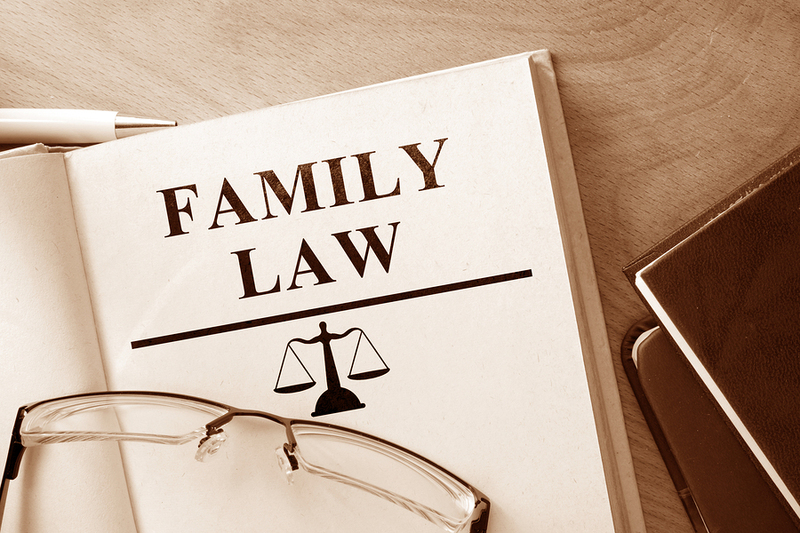 As a Tallahassee family law attorney, I meet with many clients who own small businesses that provide a comfortable income for their families, but not much more than if they were to have a job for someone else in a similar field. In these situations, we often argue that the business has such little value in and of itself that if the income is being accounted for in child support and/or alimony, it should not also be part of the equitable distribution. Of course every case is different and before attempting to make any argument regarding equitable distribution, you should discuss the matter in depth with a Tallahassee divorce lawyer or a family law attorney in your area of the state. There will be extensive financial discovery available through your divorce. This discovery is available both directly from the opposing spouse and from third parties like accountants, bookkeepers, and banks. As Tallahassee divorce lawyers, we have seen situations in which a party who denies the intrinsic value of a business has a hard time explaining how the records produced by a bank or other relevant third party show they created a balance sheet ore similar document that put the value of their business at a much higher value than they are now claiming in the divorce. Am I entitled to a business that my spouse owned prior to our marriage? In short, not as much as you typically would if the business began during your marriage, but you may be able to claim a portion of the business as an asset if the business increase in value during the marriage or if you contributed to the business throughout the marriage with time or other valuable resources. These disputes can often be settled easily by looking at gross revenue over time or balance sheets or profit and loss statements from before the marriage. However, the battle over the marital value of a business can be extensive and experts can disagree widely on the current value of a business. Therefore, seeking advice from family law attorneys in Tallahassee or anywhere in Florida that you plan to file for divorce is crucial. Dividing a business can be difficult and nerve wracking for both parties involved. Sometimes spouses may choose to stay involved in the business and divide the ownership and other times they may choose to sell the business outright. In cases where the divorce is friendly, a separated couple might deem it profitable to continue operating the business as they did when they were married. As you might imagine, dividing a business properly can make a great deal of difference in the division of marital assets. An experienced and aggressive Tallahassee divorce attorney can help you to ensure that valuations are accurate and that you receive an equitable portion of that business.